Dr Zulfiqar A. Bhutta is the Robert Harding Inaugural Chair in Global Child Health at the Hospital for Sick Children, Toronto, co-Director of the SickKids center for Global Child Health and the Founding Director of the Center of Excellence in Women and Child Health, at the Aga Khan University, unique joint appointments. He also holds adjunct professorships at several leading Universities globally including the Schools of Public Health at Johns Hopkins (Baltimore), Tufts University (Boston), University of Alberta as well as the London School of Hygiene & Tropical Medicine. He is a designated Distinguished National Professor of the Government of Pakistan and was the Founding Chair of the National Research Ethics Committee of the Government of Pakistan from 2003-2014. Dr Bhutta was a member of the Independent Expert Review Group (iERG) appointed by the UN Secretary General for monitoring global progress in maternal and child health MDGs (2011-2015). He represented the global academic and research organizations on the Global Alliance for Vaccines and Immunizations (Gavi) Board, was the co-Chair of the Global Countdown for 2015 Steering Group from 2006-2016 and is the co-Chair of the Maternal and Child Health oversight committee of World Health Organization (WHO) Eastern Mediterranean Region (EMRO). Dr Bhutta is the Chairman of the Coalition of Centers in Global Child Health with its secretariat based at the Hospital for Sick Children, Toronto. 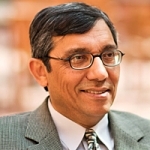 Dr. Bhutta is on several international editorial advisory boards including the Lancet, BMJ, PLoS Medicine, PLoS ONE, BMC Public Health and the Cochrane ARI group. He has published eight books, 77 book chapters, and over 650 indexed publications to date. He has won several awards, including the Tamgha-i-Imtiaz (Medal of Excellence) by the President of Pakistan for contributions towards education and research (2000), the inaugural Programme for Global Pediatric Research Award for Outstanding Contributions to Global Child Health (2009) and the WHO Ihsan Dogramaci Family Health award (2014).